After deciding to breastfeed your baby, one investment many mothers consider is whether or not to use a breast pump, and beyond that the questions continue to arise. So, what should women look for in a breast pump? Read on to find out. There are two types of pumps to consider: manual or electric. The most obvious difference is that electric pumps are much more expensive. Choosing between these types of pumps depends upon your lifestyle when you decide which one to choose. Some moms are only away from their babies for a few hours occasionally, and the rest of the time, the baby breastfeeds. If you fall into this category where you only need to pump one, at the most two, times per day, consider a manual or battery-powered pump. They are more portable, so it’s easier to pump on the go. For those moms who will be exclusively pumping, or pumping more than twice a day, consider an electric pump. Electric pumps are also great for moms who plan on returning to work and will feed their baby expressed breast milk. Without a doubt, electric breast pumps are easiest to use. You can use a pumping bra and pump hands-free. With a manual pump, the user does most, if not all of the work, and it can be both frustrating and time-consuming, especially if you have things to get done or a baby to look after, which is why manual pumps are typically recommended for occasional use only. Should I Get a Single or Double Pump? This is completely up to the user. Double breast pumps are obviously quicker, however, this option may depend upon your budget as well, which will be discussed further below. The benefits of double pumping are simultaneous breast expression, compared to single pumping which pumps one breast followed by the other breast. Budget aside, looking only at the benefit of single versus double breast pumps, double pumps surpass single for efficiency and milk content. Breast pumps range in price from under $100 to well over $1000 USD. This can be intimidating and confusing if you are not sure what features you need. If you are having difficulty building or maintaining milk supply, you should consider a hospital grade, heavy-duty pump. These pumps can be quite expensive, so talk to a lactation consultant before investing in one. For moms who have a good milk supply, look for a pump that has a range of speeds and suction levels. These electric pumps range from approximately $100 for a single pump and $200 for a double pump. Although it may be slightly more expensive, look for a pump that has a closed tubing system for sanitary reasons. In an open system, the pump’s collection kit (motor) is exposed to your milk, possibly coming in contact with germs, bacteria, mold and viruses. With a closed system, the barrier in between the collection kit and the pump tubing prevents outside air from coming in contact with breastmilk, thus you are able to preserve the purity your breastmilk for your baby and decrease the possibility of contamination. It may be tempting to buy a used breast pump or accept one from a friend who no longer needs hers, but don’t do this. Pumps can become contaminated with germs and bacteria, and you don’t want to pass this along to your baby. Rental and hospital pumps are designed for multiple users, store bought pumps are typically not. It is important in any case that the pump is well cleaned and sterilized before it´s first used and then once a day. A special sterilizer is suitable for this purpose but you can also boil individual parts of the appliance. Hygiene is the alpha and omega when it comes to using a breast pump. This is important since your needs will change over the months while you are pumping. An incorrect fit will compromise your pumping and could possibly decrease your supply of milk. If you find that one size becomes uncomfortable, or you are not getting as much milk per pump, you may need to try a different size. For maximum comfort and the most pumping efficiency, look for a breast pump that comes with a variety of sizes to meet your needs over time as your postpartum body changes. Should You Get a Pump with a “Let Down” Feature? Some pumps have this feature, which mimics baby’s sucking for the first few minutes. Although this may make pumping more comfortable as it eases you into the pumping session, some mothers may not deem it necessary. Some studies have found that this option may, in fact, be beneficial when it comes to milk production, as it has been found that mothers yield more milk when their pumps simulates the sucking pattern of babies. 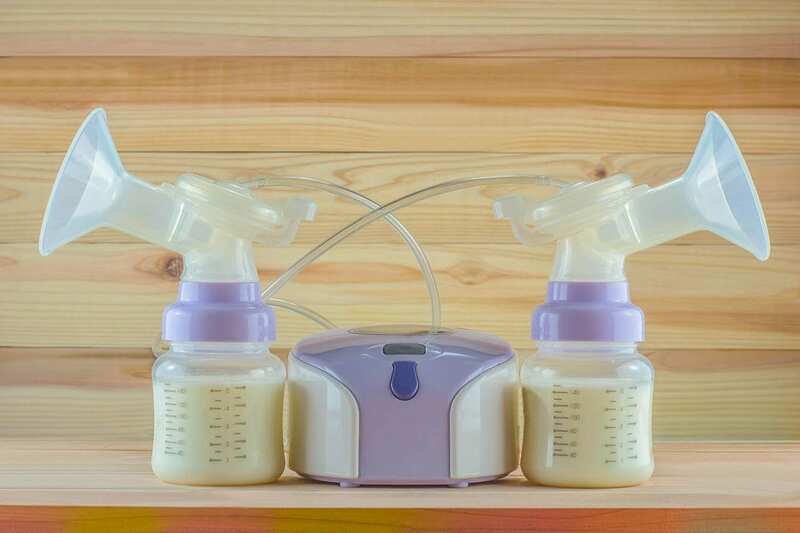 If you are looking to increase your milk output or find pumping uncomfortable, this may be one feature you want to seek out in a breast pump. While there are a lot of different pumps available, each offering a variety of options, be sure to get the best option that fits your needs, not just the first one you find. Take into consideration which to buy depending upon your comfort levels and lifestyle. Remember, more expensive doesn’t always mean the pump is better. Consider the features that you need and will use and choose accordingly.